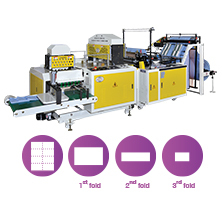 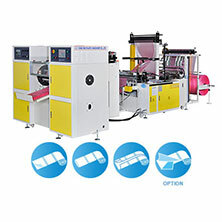 Manufacturer of bag making machine, cutting and sealing machine, plastic bag making machine, T shirt bag making machine, perforation bags on roll machine, side sealing machine, soft loop handle bag making machine, shopping bag making machine, bottom sealing bag making machine, garbage bag making machine, Bags on Roll Machine, plastic glove making machine, and more. 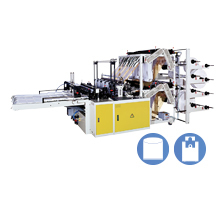 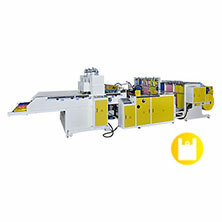 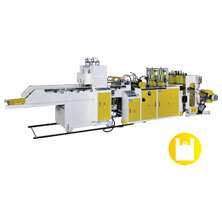 Chao Wei Plastic Machinery Co., Ltd. is a specialist in design and manufacturing a wide variety of plastic bag making machine. 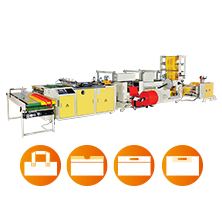 One of the reasons for the excellence of Chao Wei machines is our dedication to research and development. 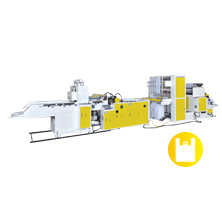 Our object is to enhance the value of Chao Wei’s machines, and create new performance capacity that will meet our customer’s production efficiency and profitability. 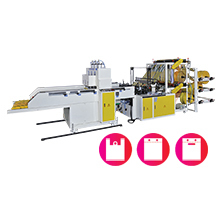 Our bag making machine, cutting and sealing machine, plastic bag making machine, T shirt bag making machine, perforation bags on roll machine, side sealing machine, soft loop handle bag making machine, shopping bag making machine, bottom sealing bag making machine, plastic glove making machine have been sold to Japan, Singapore, Russia, France, Romania, Cameroon, Ivory coast, Nigeria, U.A.E… more than 135 countries all over the world.